3DXpert is a powerful toolset that is included in all versions of SOLIDWORKS program, which means in Standard, Professional and Premium. This tool gives users a more convenient, modern environment when working on their design and manufacturing process. 3DXpert supports 2 kinds of printing: plastic and metal. Not only that, this feature also provides a user-friendly way of DFAM-adding, structures support, platform build with an optimized workflow. 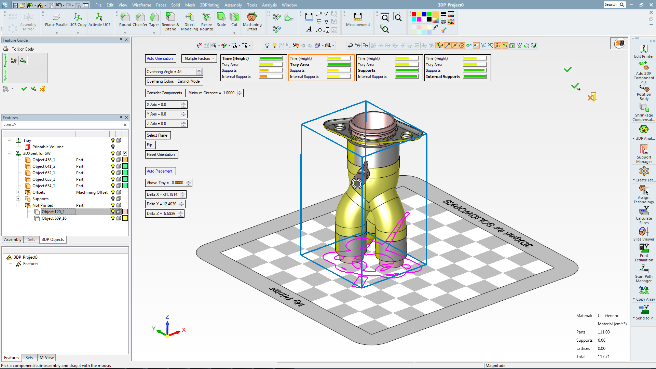 3DXpert sole purpose is to helps user to get in an additive manufacturing process. For this will need to change the users’ mindset, that’s why SOLIDWORKS 3DXpert has included the model optimization and all required steps for printing in the design process. Thanks to this user can manage everything they want when designing and also acknowledged what needed to adjust in other processes. Not only that, 3DXpert breaks all traditional norms of manufacturing. Since this is the only way to helps users enter “additive manufacturing”. Without rules or boundary, users’ imagination is set free and be able to achieve better, newer things. Imagining how our designers now can reduce complex geometries, lightening product weight that would not affects it function, or applying additional structures that normally impossible without additive manufacturing. Yes, 3DXpert can helps designers to do it. 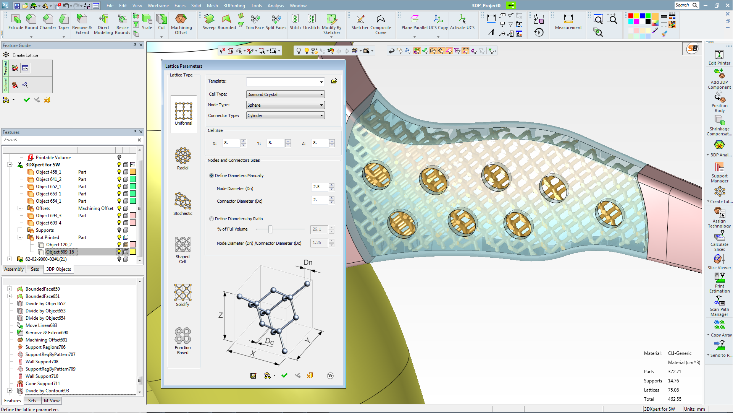 As mentioned above, 3DXpert is an essential part of all three versions of SOLIDWORKS software. This wonderful tool provides everything in order to ensure its user can enter additive manufacturing without any problems. 3DXpert make sure that everything that user need is included here. From necessary tools for analyzing, preparing to tools for optimizing during the additive manufacturing processed are entitled to user. What’s more? You can turn native SOLIDWORKS CAD files into 3DXpert with just one click. With this everything-is-included method, users now do not have to switch left and right for additional software or checking too many other processes during their manufacturing state. With 3DXpert, a single direct path is designed to let users enter additive manufacturing and to archive better opportunities. More Awards for SEACAD! Through our efforts in 2016, we have cinched a few prizes, announced at the VAR Kickoff and SWW17. SEACAD successfully launched SOLIDWORKS 2017 on 7th October 2016! Thank you so much for joining us at our launch event – “Beyond Engineering – Take it to the next Level” held at The Joyden Hall. Over 400 Engineering enthusiasts came to learn about our latest SOLIDWORKS 2017 3D Design solutions. Our team put in a great due of effort in ensuring that you get the most out of our launch. Ultimately, inspired and motivated to take yourself, your business, or innovation to the next level, just like how Joseph Schooling’s win fires up the entire sporting scene in Singapore. Did you miss our launch event? Check out the photos and video below. On 2nd June 2016, we held our annual customer appreciation day at iDarts Halo. It was a day whereby customers gathered to network and have fun! The theme for this year was ‘Are you on target to achieving your product development goals?’ in which customers will get to know how to work more efficiently, reduce development time and cost, and get the information they need at exactly the right time to achieve their product development goals. Read more here! Congratulations to SEACAD! We stole the limelight and received the most number of awards at SOLIDWORKS 2016 Asia Pacific South VAR Kickoff. Good News! We are appointed as the sole distributor of SOLIDWORKS Electrical! Congratulations to Vishnu Shankar, our Engineering Lead, he was awarded the Elite Engineer at SOLIDWORKS World 2016!